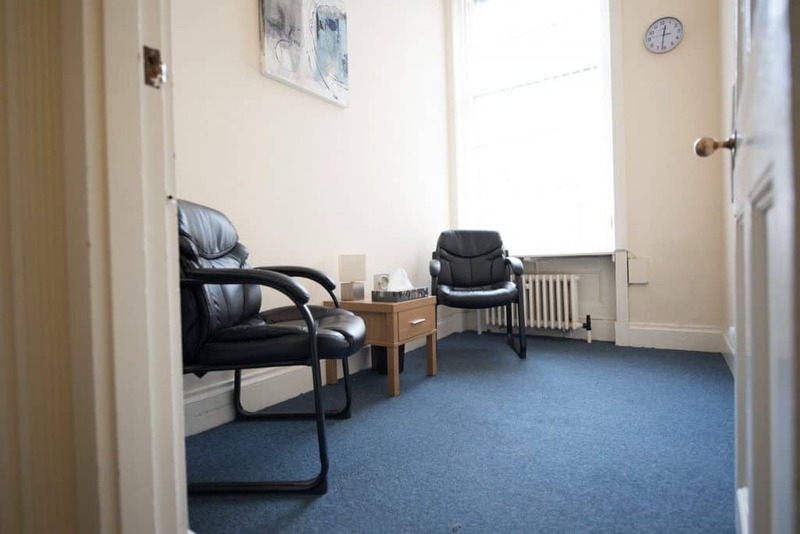 This room is ideally suitable for one-to-one meetings, consultations and interviews. Room 1 is on the first floor, access is via stairs only. There are two chairs in the room, plus a clock and a light with dimmer with room dimensions of 1.9m x 2.9m. Wi-Fi comes complimentary with the room. Book with as much notice as possible. Bookings requested with less than 24 hours’ notice cannot be guaranteed. Emails are answered on weekday mornings. Discounts are available for multiple bookings. Chairs must not be moved between rooms.